The American Heart Association (AHA) recently released a statement reaffirming its advice concerning consuming fish. Sixteen years ago, the AHA advised Americans to eat fish to improve their health. Now, using the latest scientific research, they say that people should eat one or two meals of fish each week to improve their heart health. The AHA recommends eating at least one, but preferably two, servings of fish each week. A serving of fish is about 3.5 ounces, which is about three-fourths of a cup of flaked fish. Currently, they say, Americans eat only about 1.3 servings per week on average. Research shows that people who consume a serving of fish each week reduce their risk of developing cardiovascular disease. This is especially true if they replace one unhealthy meal containing saturated fat, sugar, and excess salt with a healthy meal of fish. • Nutrients: Fish are an excellent lean protein source. It also contains lots of vitamins and minerals the body needs, including iodine and vitamin D. In fact, vitamin D is available in few other food sources. • Reduced Risk of Diseases: Research shows that eating fish might reduce the risks of several diseases, like Alzheimer’s, dementia, and diabetes. • May Prevent Some Autoimmune Diseases: Some studies indicate that the omega-3 fatty acids in fish may protect the body against autoimmune diseases. An autoimmune disease is one in which the body’s immune system mistakenly attacks healthy tissues or systems. • Protect Vision: Some studies indicate that eating fish might prevent an age-related vision condition called macular degeneration that can result in vision impairment or blindness. • Better Sleep: Early research indicates that eating fish a few times a week may lead to better sleep. Researchers think this is because of the vitamin D it contains. 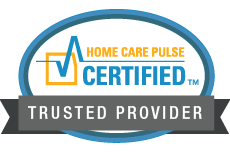 Home care in Pasco can ensure your aging relative eats a better diet, including heart-healthy fish. 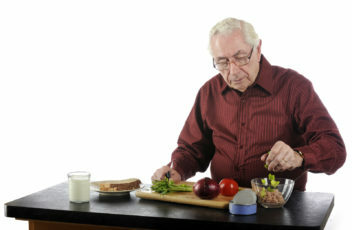 Home care providers can assist older adults or their family caregivers by creating weekly menus. Home care providers can even take the senior grocery shopping to purchase ingredients. If the older adult is unable to cook for themselves or does not want to, a home care provider can prepare meals and clean up afterward.